The studies of the metabolic deregulations leading to toxic damage of the melanocytes appear to be relevant. An oxidative stress process is associated with melanocyte degeneration. 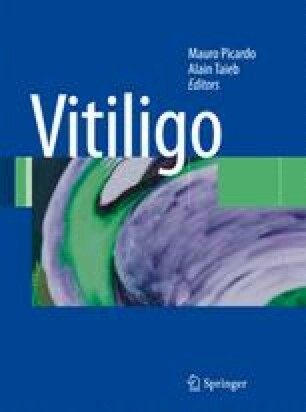 In vitiligo patients, systemic oxidative stress can be detected, suggesting the involvement of metabolisms not exclusively related to the melanogenic process.